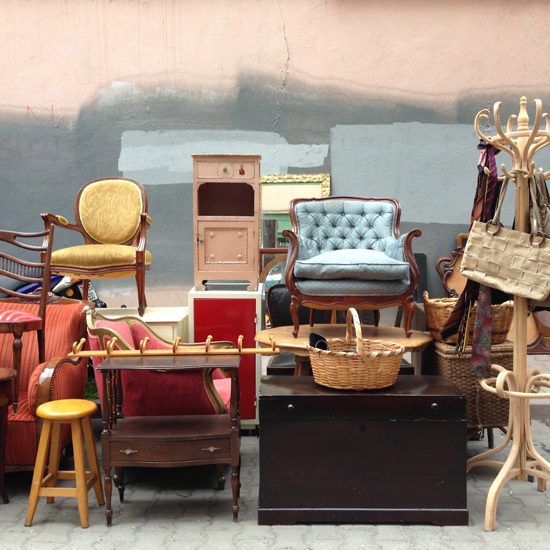 It is impossible to speak of Istanbul today without recourse to the troubled relationship between the city’s inhabitants and the widespread urban development and gentrification projects administered by the state. The revelations of Gezi have brought these conversations out into the open and they are further gauged in artistic projects that reflect on public space and the city. 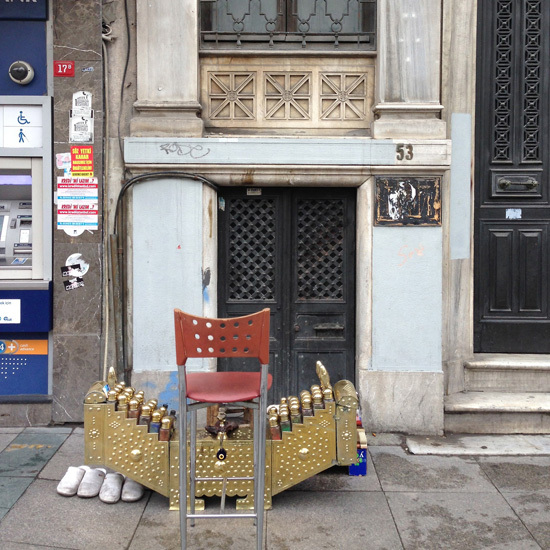 Such are the works of two Istanbul-based artists, Sevim Sancaktar (b. 1984, Istanbul) and Hannah Klein (b. 1989, Cincinnati), who engage with the intersection of visual forms and spatial politics in Istanbul at the present moment. Their works focus on architectural transformations of the city—namely, how the competing discourses of, and claims to, the city are inscribed onto the surfaces of buildings, functioning as narrative tools for both the state and the city’s inhabitants that often operate in conflict with one another. What is striking about these projects is that Sancaktar and Klein do not merely document the scene of the crime, so to speak, but highlight how various state-sponsored injustices and memories of them are perpetually renegotiated through architectural interventions that transform the urban landscape. In her photographic series titled Transformer, Sevim Sancaktar tracks the murals painted on electrical transformers throughout Istanbul. As what can be surmised to be an attempt by the state to offset the tolls of widespread demolition of green—and public—spaces in a city overrun by concrete, shopping malls, and ongoing construction projects, the municipality began to collaborate with commercial art houses to paint colorful murals on the otherwise dreary surfaces of transformers beginning in 2006. The municipality commissioned 73 such murals in total, many of which depict elements of green landscapes, with the first one appearing in the working-class district of Şişli. Given the general positive reception of these murals in Istanbul (Sancaktar admitted in conversation that she herself initially found them to be pleasant), other municipalities throughout the country began to follow suit. But despite their pretensions otherwise, these murals do not exist in a vacuum, and it is precisely the problematic way in which they interacted with—or rather, seemingly ignored—the social fabric and lived reality of the city that prompted Sancaktar to investigate them more closely during her walks. Contrary to claims that the murals are “public art” projects, Sancaktar instead pointedly refers to them as “wall illusions.” Indeed, the painted surfaces of the electrical transformers do not function as places of congregation nor do they lend themselves to any meaningful public use, a fact further reinforced by the cautionary danger signs that accompany the otherwise inviting landscapes. Rather, the murals on the facades of the transformers are symptomatic of a larger distorted conception of the city by the administrative bodies that commissioned them. Just as various “improvements” are violently inscribed onto and cut through the city without regard to its social body, the painting of the transformers assumes once again that the city is an empty canvas, reducing urban space thus to a static representation rather than acknowledging that it is a product of social practice dependent on its inhabitants. Painted on the surface of the transformer is a picturesque Alpine landscape, replete with snowcapped mountains and an evergreen forest. One needn’t even take heed of the fact that the painting itself is of a foreign landscape, strangely out of place here in Sultanbeyli, in order to understand how out of sync this image is with the lived reality of the suburb. Sancaktar already collapses this illusion for us by subtly injecting markers of three-dimensional, lived space into the frame: brushing against either side of the mural are leaves of local trees, and the inclusion in the visual field of the physical ground further concretizes the tension between these two competing claims to the city. By framing the mural in this way, Sancaktar removes it from the isolation that occasioned its production and forces it to interact with its surrounding political and social context. If we look even closer, we notice a young boy seated on top of a rock in the lower left corner of the frame, his pink shirt almost entirely indistinguishable from the pink cobblestones that form the base of the mural. It is here, in my view, that the photograph makes visible what is most crucially at stake in these urban redevelopment projects and their subsequent relegation into official memory through projects like the transformer murals. If the state-commissioned murals function not merely as a decorative paintings, but inscribe onto the body of the city a distorted official narrative of its urban history—one that attempts to erase the multiple voices of those who actually find themselves in the midst of this wide-scale mutation—then the blurring of this boy and the pink of the mural articulates the disappearance of lived experience and collective memory in this official narrative. And what are we to make of this Alpine landscape depicted on the mural, which itself has become a commodified symbol of travel/tourism/leisure, recognizable anywhere in the world, while bearing in mind Sultanbeyli’s largely immigrant demographic and the bulldozing of Istanbul? We might read Sancaktar’s photograph alongside Yto Barrada’s Wallpaper (2001), a photograph taken in Barrada’s hometown of Tangier and which depicts an almost identical idyllic landscape. Upon inspecting the creases and peeling in the landscape, however, it becomes apparent that the photograph is actually of a German wallpaper frequently found in cafés in Tangier. [ii] Like Sancaktar’s Istanbul, Barrada’s Tangier is at the crossroads of several conflicting transformations: the influx of migration into the port city by African migrants en route to Europe, the desire of the locals themselves to leave the city (due to poverty, among other factors), and rampant gentrification and overdevelopment that aim to bring tourism into Tangier. The wallpaper evokes the lure of migration experienced by Tangier’s inhabitants and those who pass through the city in search of greener pastures north of the Strait of Gibraltar—although mass migration and mass tourism, we know, are not the same thing. 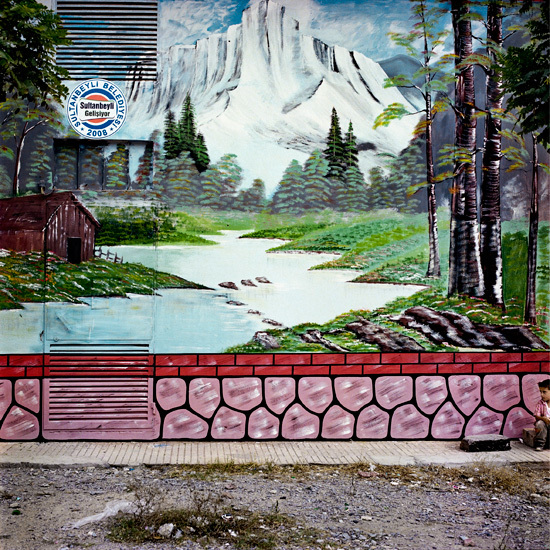 Viewed in the context of the severe travel restrictions imposed on Moroccans through the Schengen Agreement, the photograph seems more likely to suggest “that paradise is only a mirage”[iii] for the city’s residents. If we acknowledge Istanbul’s status as one of the main gateways for clandestine migration to Europe, as well as the place that Sultanbeyli occupies within this network, then Sancaktar’s photograph can be read as an allegorical image much like Barrada’s Wallpaper. Sultanbeyli is composed mainly of rural migrants, many of whom are of Kurdish origin and came to Istanbul in the 1990s to escape a conflict-ridden and socio-economically disadvantaged southeast, only to face further social marginalization and urban poverty once arriving in the city. Moreover, the suburb is one among several (usually poorer) areas of Istanbul where illegal immigrants often stay (or become stuck) and are found in routine raids conducted by the authorities. 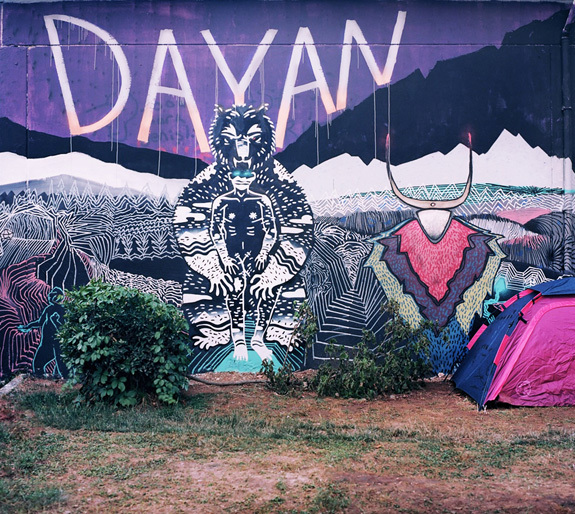 [iv] In viewing the transformer mural against this backdrop, the gap between the paradisiacal imagery on its surface and the underlying social condition of Sultanbeyli’s population becomes even more pronounced. 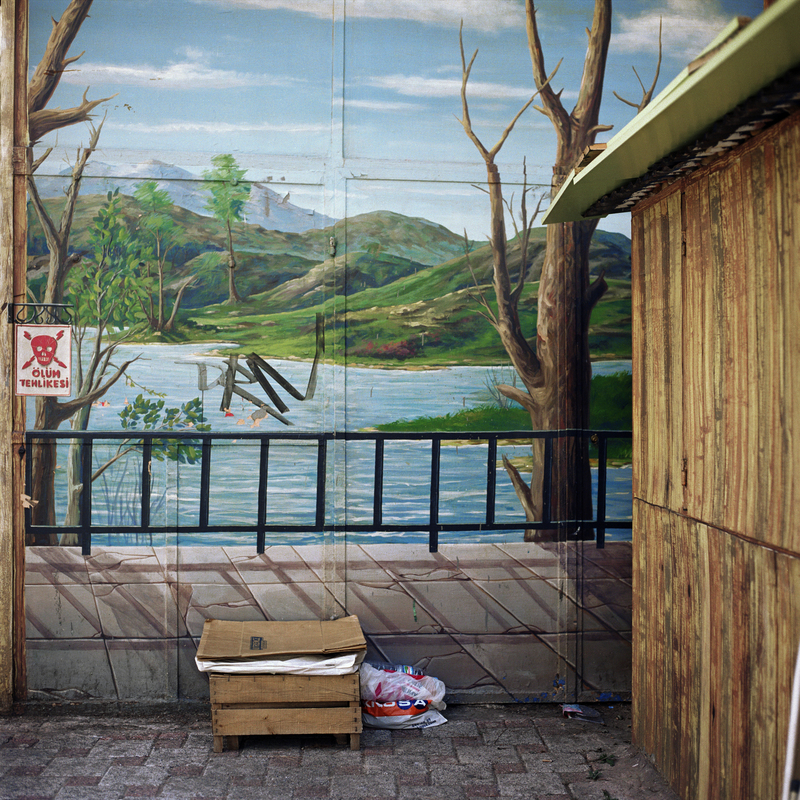 And though the Alpine landscape is surely meant to conceal these realities of the suburb, the painting functions as a visual reminder of that which the residents of Sultanbeyli have been forced to give up: the right to geographical mobility; regard for the natural environment, which becomes destroyed through expansionist projects camouflaged in the enthusiastic rhetoric of neoliberalism[v]; and the opportunity for better economic prospects in the face of gentrification projects that often only serve to widen the gap between rich and poor. Imbued as it may be with its own peculiarities, the situation of Sultanbeyli can be understood as a more extreme example of what is occurring throughout Istanbul at the moment. During Gezi, the painted surfaces of the electrical transformers were reclaimed by protesters, who furiously painted their slogans on them, rejecting these state-sanctioned, illusory representations of their city as well as the concomitant curtailing of the rights of citizens. 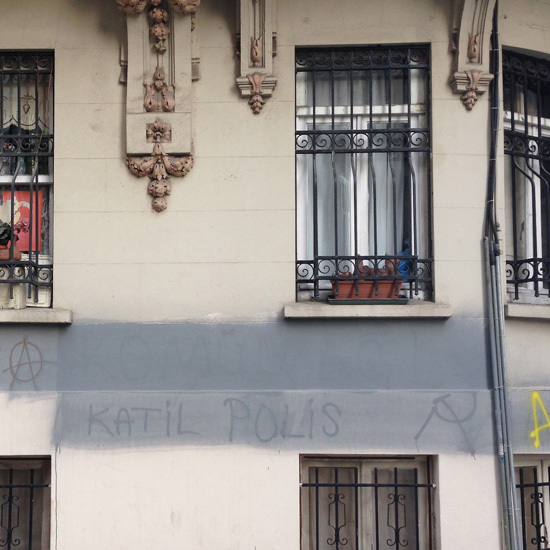 This proliferation of graffiti was not confined to the electrical transformers; they burst onto architectural surfaces throughout Istanbul during and after Gezi, offering up visual expressions of a wider political and social unrest. In a country where traditional access to political discourse is limited and grievances are censored, the surfaces of buildings became retooled into sites for the outpouring of discontent. 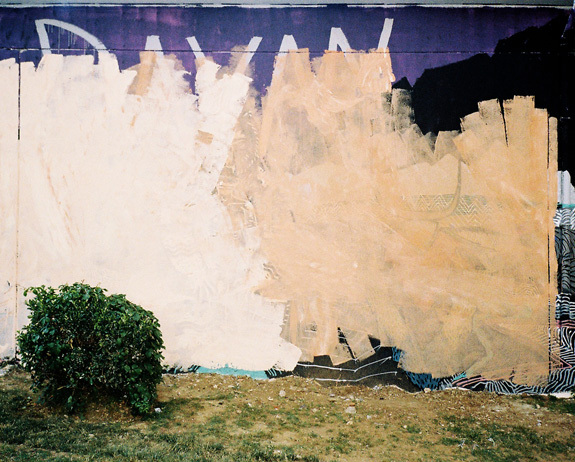 Klein’s photographs bring into focus how the state’s attempt to “erase” this graffiti actually heightens the visibility of the discontent that led to the recourse to grey paint in the first place. She refers to these facades as a “visualization of a conversation” between the state and the local population, the grey, here, signifying the state’s attempt to “drown out the multiple voices” who oppose its policies. While her photographs document one moment in this conversation—the state’s assertion of its voice through grey paint—Klein notes that with time, the surfaces become overwritten with new texts. 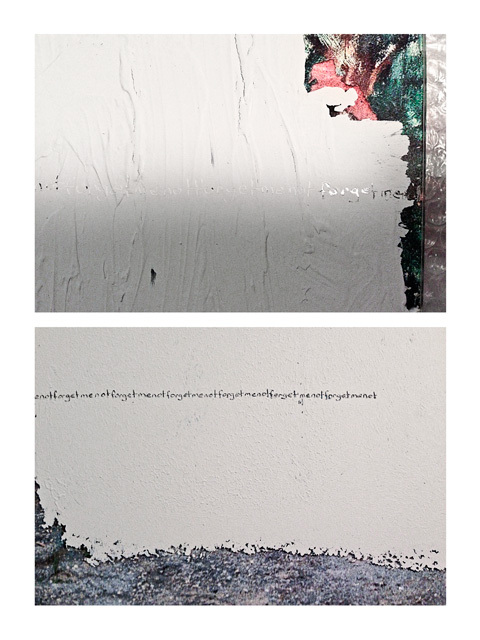 Indeed, one already senses this continuous transformation and afterlife when viewing the images, with their depiction of the partial erasure of slogans, or where texts bleed through the grey, reminding us that the voices of resistance refuse to be silenced. But if Gri Matter is, as Klein conceptualizes it, a documentary project in which “to watch these spaces transform is to track the flows in the back and forth exchanges between the bodies of resistance and the forces that seek their undoing,” where are these bodies of resistance? 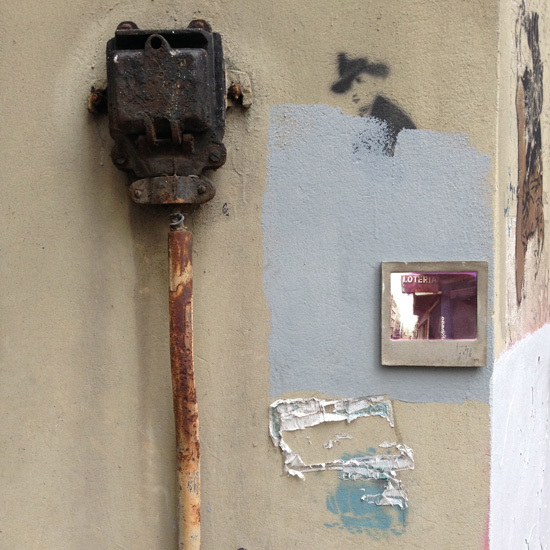 The absence of the human figure in this urban landscape is striking and it brings to mind a whole history of image-making unique to the field of urban photography. We could certainly think of Eugene Atget’s early twentieth-century photographs of Paris, taken in the early mornings when no one was on the streets, and which prompted Walter Benjamin to famously reflect on Atget’s Paris as if it were depicting “the scene of the crime.” Or we could move back even earlier in time to the photographs of Charles Marville, documenter of Paris during the Second Empire, in which the body haunts the city despite its occlusion from the frame. Klein’s project mobilizes and animates this history of image-making by superimposing onto it a particular political context. 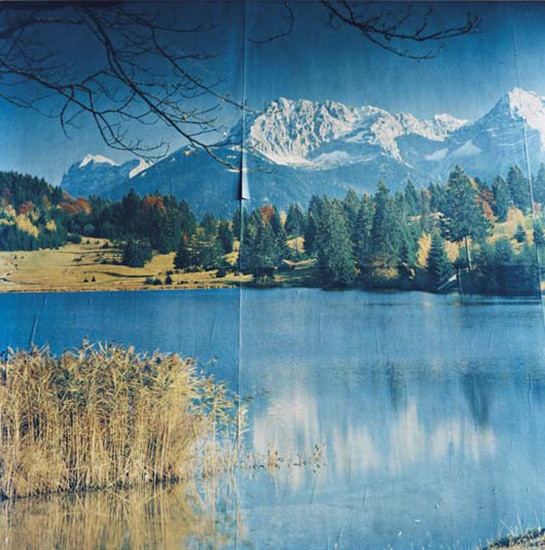 While this is not something new—contemporary artists such as Barrada, Moyra Davey, Zoe Leonard, and even Sancaktar have likewise engaged with these historical precedents, albeit through varying strategies and with different political motivations—the visual logic of Gri Matter demands further attention. During our conversation, Sancaktar spoke of her own coming to terms with the role of the artist, of who has the right to the city, and where and how artistic intervention could figure into all of this. 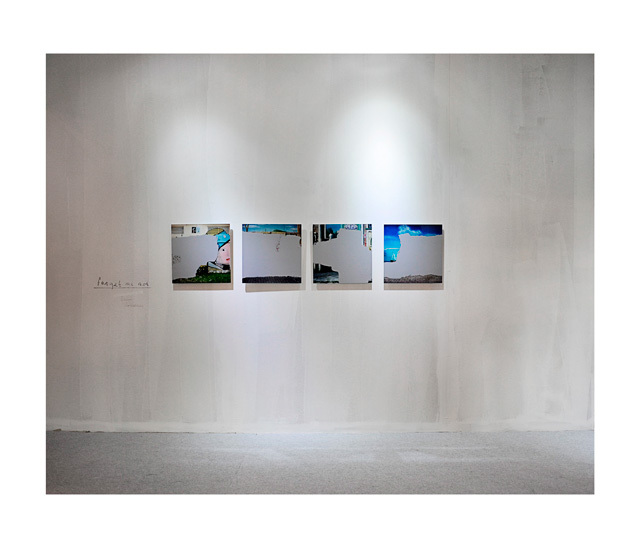 To be sure, Forget Me Not functions as a coda in itself, a reflection by the artist on her own practice that also reflects on the medium of photography, which she has come to regard as a “tool” in her work. But whereas the transformer murals attempted to relinquish the memory of those who have suffered at the hands of these widespread urban redevelopment projects, Sancaktar’s Forget Me Not performs and enacts these memories by literally imprinting them permanently onto the surface of the photographs. This is once again an insistence on the woundedness of the city, an assertion of the voices and collective memory of those who have suffered from and oppose the state’s policies, and an artistic gesture that resists the blanking out of contestation achieved through state censorship. Instead, Sancaktar redirects this form of state censorship back onto the electrical transformers themselves, and by extension, onto the state, thus effectively completing this cycle. Şeyma Bayram (b. 1988) is a writer and editor based in Istanbul. She received her BA and MA in Comparative Literature from the State University of New York at Binghamton and currently works as publications editor for BAK, basis voor actuele kunst, in Utrecht. [i] For an overview on the transformation of Sultanbeyli from a sociological perspective, see Cihan Tuğal, “The Greening of Istanbul,” New Left Review 51 (May–June 2008), pp. 65–80. 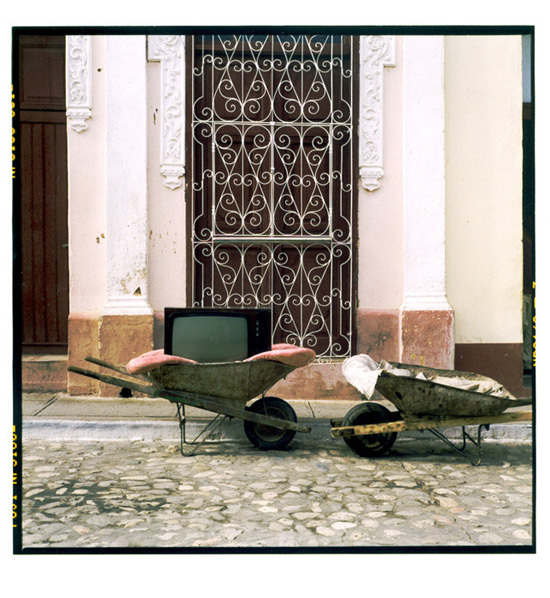 [ii] See Charlotte Collins, “Morocco unbound: an interview with Yto Barrada,” Open Democracy, 17 May 2006, online at: https://www.opendemocracy.net/arts-photography/barrada_3551.jsp. [iii] Nurio Enguita Mayo, “Concrete Allegories. On Yto Barrada’s work,” in Concreta 2 (Autumn 2013), online at: http://editorialconcreta.org/Concrete-Allegories-On-Yto-Barrada. [iv] See, among other cases, the 2005 arrests of 557 illegal immigrants found during raids in Sultanbeyli and other districts in Istanbul: http://www.turkishweekly.net/news/20778/557-illegal-pakistani-immigrants-apprehended-in-istanbul-in-the-past-week.html. [v] In the positive language typical of gentrification projects, the logo on the electrical transformer reads “Sultanbeyli Gelişiyor” [Sultanbeyli is Developing]. [vi] See Klein’s entire series and the text that accompanies it at: http://www.grimatter.tumblr.com. [vii] Mark Godfrey, “Mirror Displacements: On the Art of Zoe Leonard,” Artforum 46.8 (March 2008), p. 294. 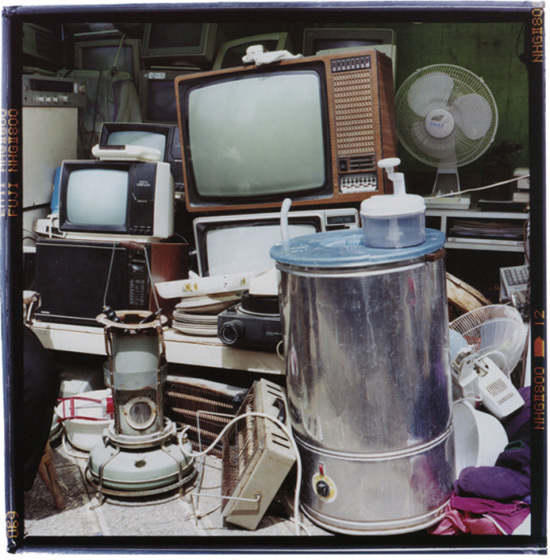 [viii] Tom McDonough, “The Archivist of Urban Waste: Zoe Leonard, Photographer as Rag-Picker,” Afterall 25 (Autumn 2010), p. 21 (italics mine). [ix] Laurence Cornet, “A Possible World,” in Sevim Sancaktar, Transformer (Istanbul: REC Collective, 2010), unpaginated. Posted in content, on artists and tagged Charlotte Collins, Cihan Tuğal, Gezi, Hannah Klein, Laurence Cornet, Mark Godfrey, Nurio Enguita Mayo, Sevim Sancaktar, Tom McDonough, Yto Barrada, Zoe Leonard, Şeyma Bayram, İstanbul. Bookmark the permalink.